Kustomer is the first of its kind enterprise-grade foundation you’ll never need to replace.  We’re the next generation of customer management platforms - a people-first approach that eliminates clunky, frustrating user experiences and coding. Give your agents an intuitive and user-friendly workspace, designed for delighting customers and creating long-lasting Customer Friendships. Predict, improve and augment the customer and agent experience using workflows and automation. Enable the multiple dimensions of customer interactions and extend your capabilities with native and partner integrations and apps. Across the street or around the globe. Powerful enough to handle the most complex business, yet flexible enough to scale with you as you grow. Maximum security for your data. Minimize service disruption and lost revenue. At the end of the day, what sold us was the philosophy of how to truly serve the customer. The approach Kustomer set out to build more closely matches how we want to care for our customers than any of the various competitors. Outdated technologies have been weighing companies down by limiting their view of customers and making it difficult to connect customer data spread across internal and external systems. Using current available CRM solutions, companies are handcuffed to their vendors ‘best practice’ processes, preventing them from meeting their customers and agents expectations. Move beyond a ‘ticket’ or a ‘customer’. Kustomer enables you to use out-of-box objects like ‘customers’ and ‘companies’, and customizable attributes like orders, feedback scores, returns, shipping tracking, web event tracking on your shopping cart, or if a customer is a Gold or Platinum frequent flyer. Search, display on the workplace and report on these objects to give your team the most relevant context for the conversation. Build a CRM around your business. Customizable attributes like orders, feedback scores, returns, shipping tracking, web event tracking on your shopping cart, or if a customer is a Gold or Platinum frequent flyer. Search, display on the workplace and report on these objects to give your team the most relevant context for the conversation. Enable a modern digital workplace. Use the Cards Platform to create better content-driven customer experiences, improve interactions between customers and agents and reduce friction between third party tools. Provide useful context with Cards that display past orders or shipping details. 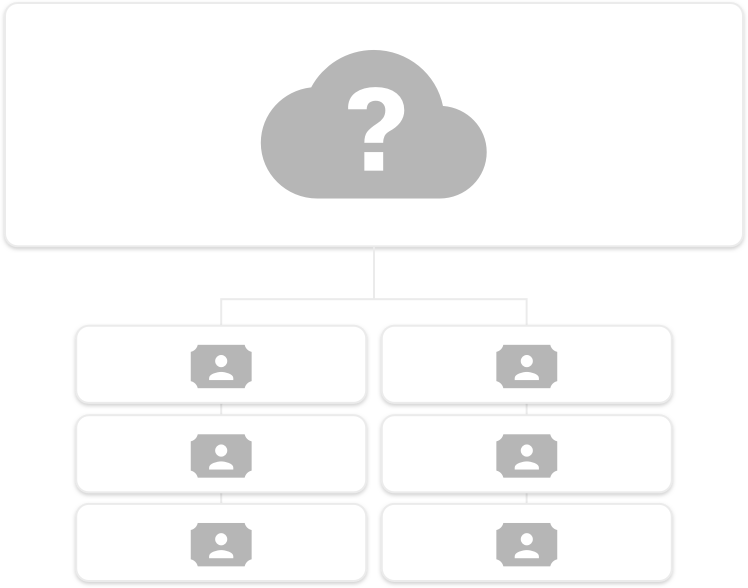 Populate a card with shopping card information or event data from your own application. Take it a step further by adding actions to cards so Agents can issue refunds or print shipping labels. Be proactive with actionable data. With the Kustomer Platform you can segment your Customers, Conversations, and Custom Objects easily. Take contextual data from a Customer and view everyone who’s order hasn’t shipped yet. Be Proactive and segment customers who have purchased in the last 6 months and send them a personalized email message. Connect all dimensions of your business. Reimagine your business reporting for the digital age. With Kustomer, your business can run seamlessly report across customers, agents, and third party data to better compete in today’s digital-first world. Eliminate cumbersome exports and excel spreadsheets. 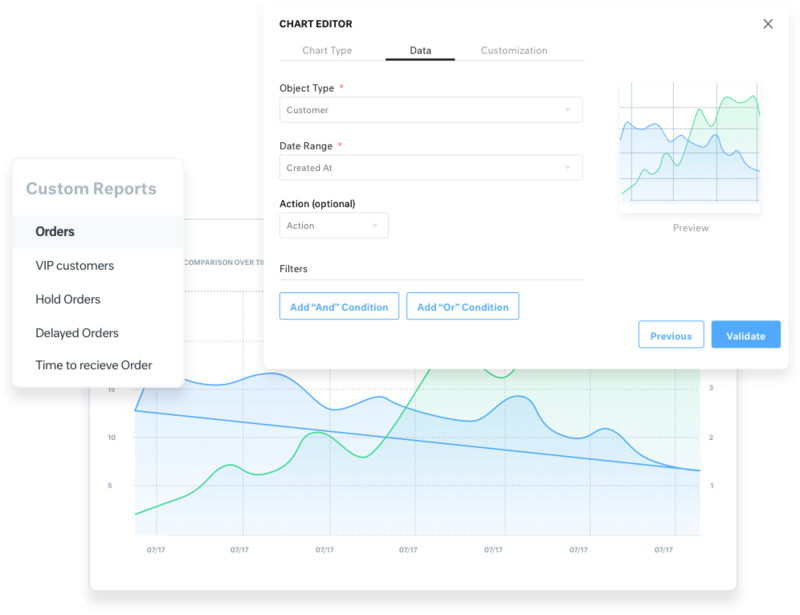 Create reports that compare Customer Satisfaction to money spent on products or which products create the most inbound support requests. Use any data inside Kustomer to answer important business questions. Today's digital business processes, simplified. Across industries, people-first companies understand that releasing agents from the day to day manual routine and repetitive processes of less advanced tools can lead to significant benefits like reducing their frustration, and improving process efficiencies. 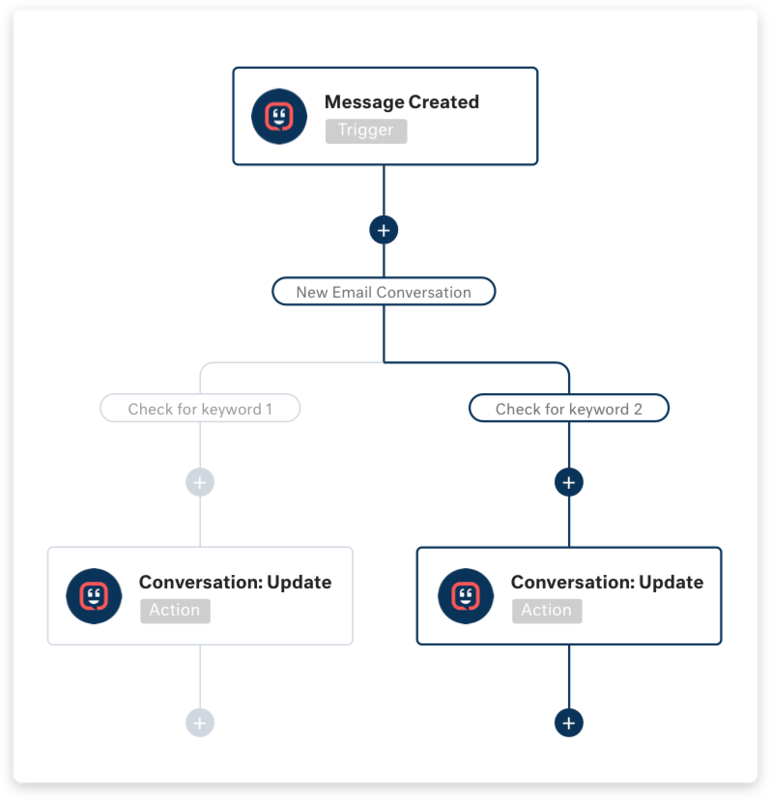 Create rules to automate tags based on conversation context, or change priorities or assignment new information is made available. Efficiency that flows across your business processes. 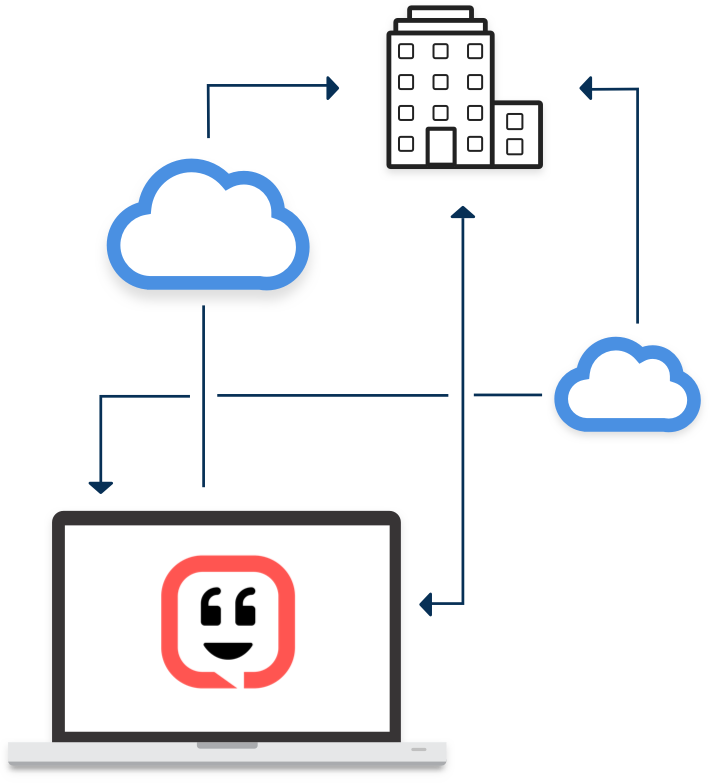 The Kustomer Platform enables you to use customizable Workflows as the automation management platform for your entire business, helping information flow seamlessly across every part of your workspace. Make it easier by automating refunds from our workspace into your billing system, or subscribing a customer to a new offering. Take it a step further by using data outside our platform to automate messaging around deliveries and offers. We believe that the customer support experience begins with people, but the basic foundation is built on scalable code. 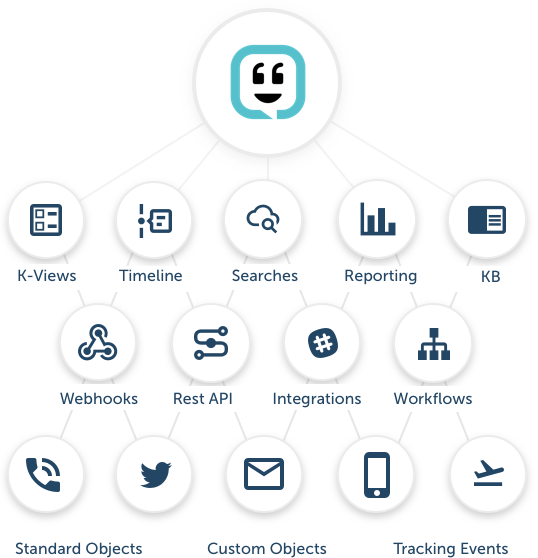 Kustomer provides you with easy-to-use APIs, Webhooks, SDKs, UI libraries, guides and sample code that make it simple to learn and build with the Platform. Today, you could create new entries on your Customer timelines based on any type of interaction, like a purchases, returns, in app events, and contracts. Customer Friendships are created with Kustomer. 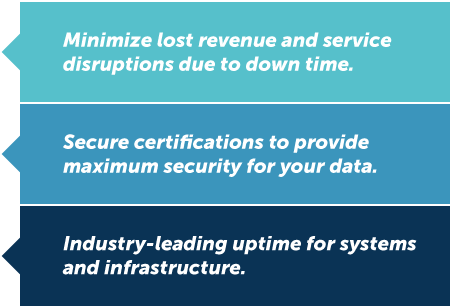 Industry-leading reliability, security & compliance. We believe Trust from our customers is paramount. 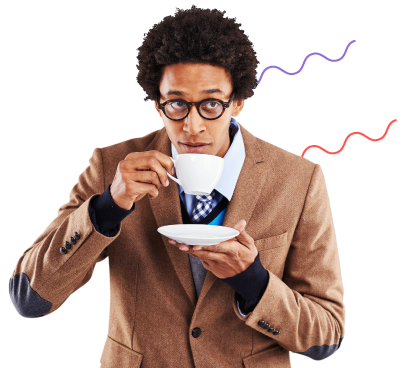 Our customers expect the application to be continuously available and properly performing while protecting their data and keeping it private. Built on AWS at its core, and with extensive integration options and extensions, Kustomer enables contact centers to address unique business needs, scale securely, develop and deploy quickly with REST APIs, and serve customers globally.